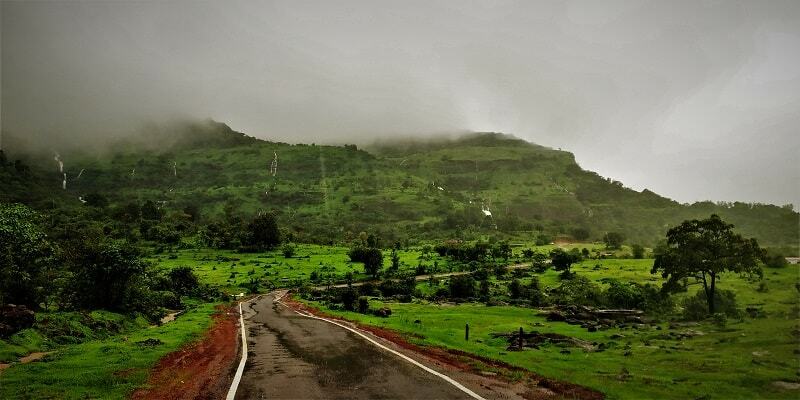 Owing to the monsoon season, all the famous weekend gateways near Mumbai and Pune have become highly overcrowded. Also, most of the trails to visit these places have become quite slippery and one needs to be extra cautious. Hey Abhi!! 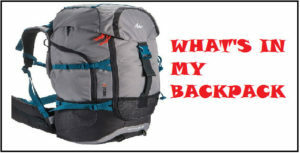 Can you suggest us a beautiful place where no or very less trekking is required? 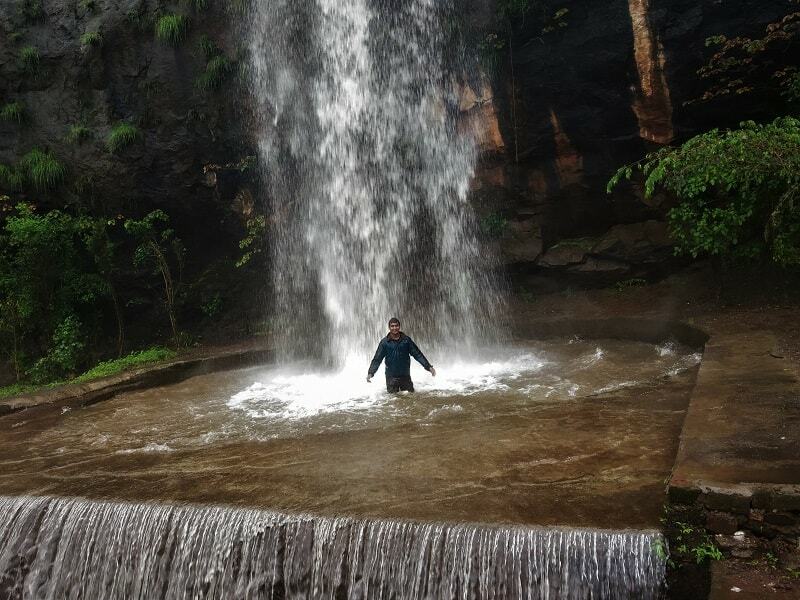 Visit the Bendewadi, Laalwadi and Jagtap Waterfalls and I am damn sure of receiving a “Thank you for suggesting such a beauty” message, once you are done with the trip. I have been frequently asked that how do you come across such places? 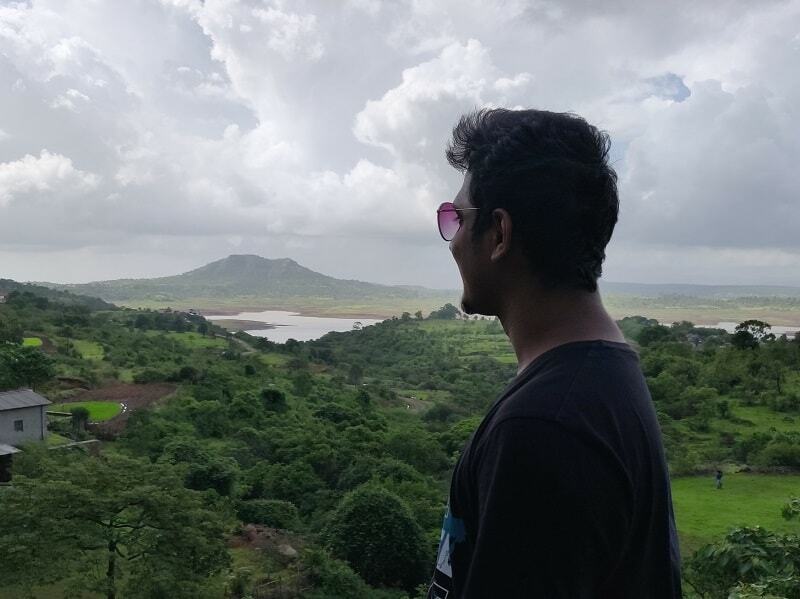 Right now, not being a full-time traveler, I am constrained to search for places in the nearby region of Pune (my current city of residence). What I generally do is, open the Gmaps, and zoom in and out to look out for places that are covered under green patch or the places having water bodies in the vicinity. Look at that waterfall!! Hey, look at this one!! Wow, this one is amazing!! 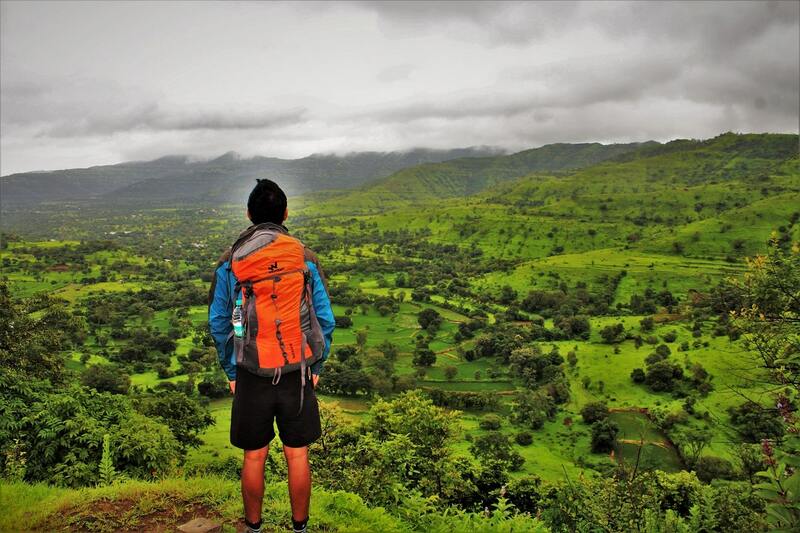 A few sentences which you will keep saying again and again on a road trip to Kanhe – Vadeshwar – Khandi region. With waterfalls flowing from every nook and corner of the mountains in the region, it can undoubtedly be named as “The Land of Waterfalls”. Abhi!! So how to reach your so-called Land of Waterfalls? The nearest railway station to the region is Kanhe railway station. Local trains from Mumbai, Pune, and Lonavala have stoppage at Kanhe station. 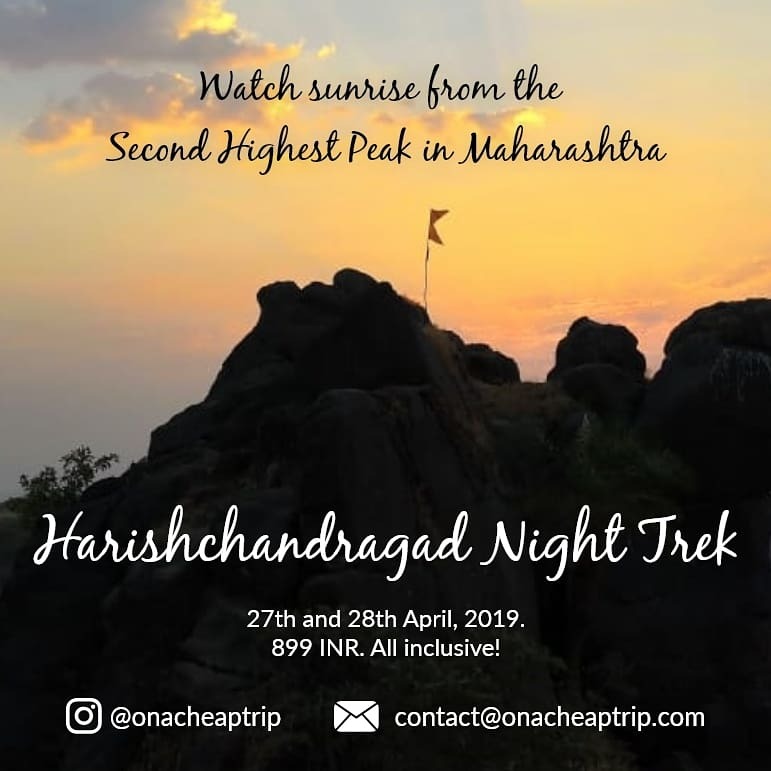 From Kanhe station, you can catch a bus going toward Khandi (Talegaon – Khandi bus) and get down at Mau village – 15 kms (Jagtap waterfall is located here). 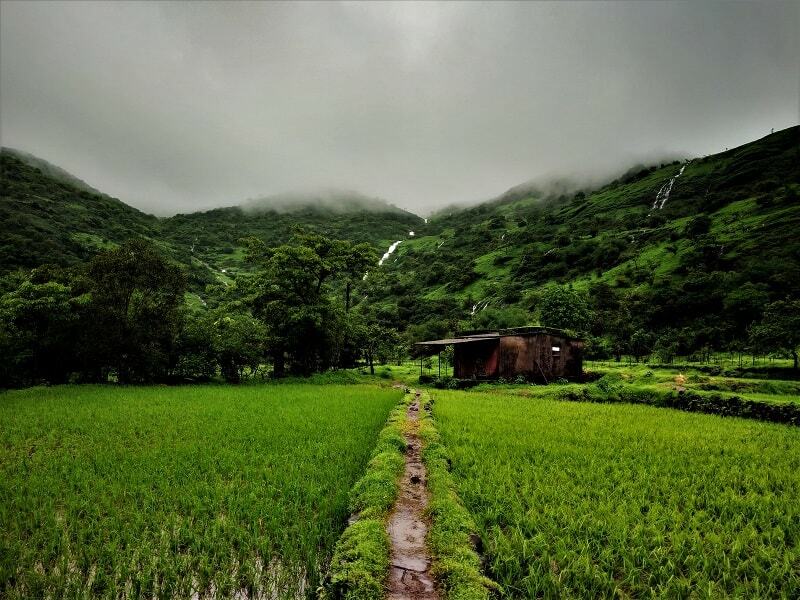 From Jagtap waterfall, Bendewadi and Laalwadi waterfalls are another 16 kms and you have to wait for another bus going towards Khandi. Remember the bus frequency is very less, hence plan accordingly. You can also try the option of hitchhiking. 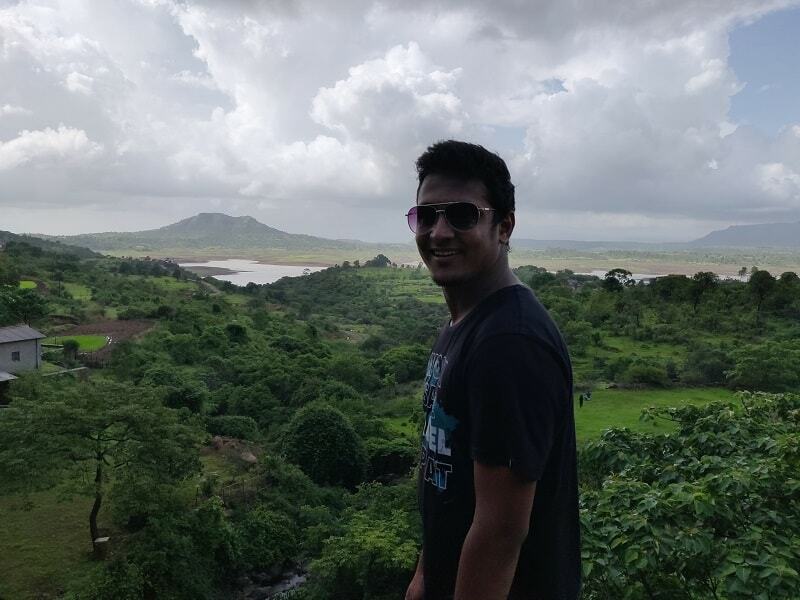 What I will suggest you is to rent a bike from Lonavala/ Pune and ride all the way up to Khandi. The place can be best explored if you have your own transport. It will definitely be a road trip that you will remember for your entire life. In the last 15 days, I have been to this region (Kanhe – Vadeshwar – Khandi region) three times. Abhi, did you like it so much? I am in love with this entire region as there is so much to explore. On each and every visit I found out a new spot which added more joy to the journey and compelled me to revisit. On my previous 2 visits (Saturday and Tuesday), it seemed that the entire place belonged to me. I was quite shocked to see a huge crowd on my third visit (Sunday). Note: Either visit the place on a weekday or if visiting on a weekend, visit in the early hours of the day (6 am- 2 pm). The road is narrow and you might get stuck in the traffic. I will be writing more about my second visit (17th July) to the region. I along with my friend started from Pune around 9 AM. We took the old Mumbai Pune highway to reach Kanhe Phata. From Kanhe Phata, we took a right to take the road which goes towards Khandi. After crossing the Indrayani River and driving for around 20 minutes, we made it to the Jagtap waterfalls. 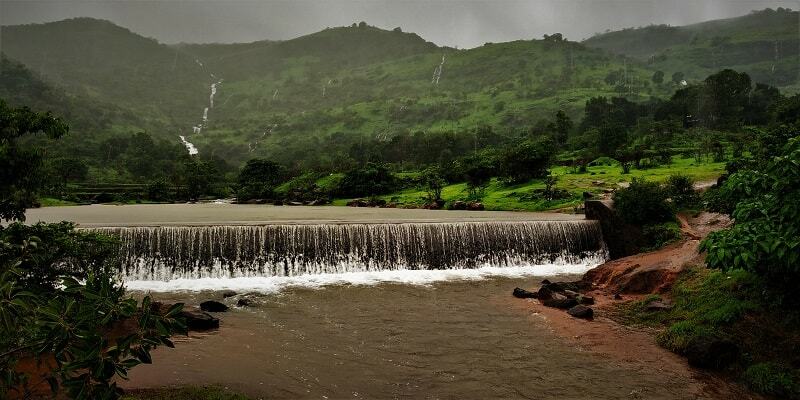 From Jagtap waterfalls, Khandi is around 25 kms and the entire route is surrounded by lush green mountains with numerous waterfalls and beautiful Thokarwadi dam in the vicinity. The road is quite good with the occasional potholes. You can take pit stops at any of the unnamed waterfall and try to explore it. On my first visit, when an unnamed waterfall (https://goo.gl/maps/3HpUNr1GFxz) was not flowing to its full density; trekking through the dense jungles, we almost made it to the top of the waterfall. Taking bath and enjoying the view from the top was just awesome. 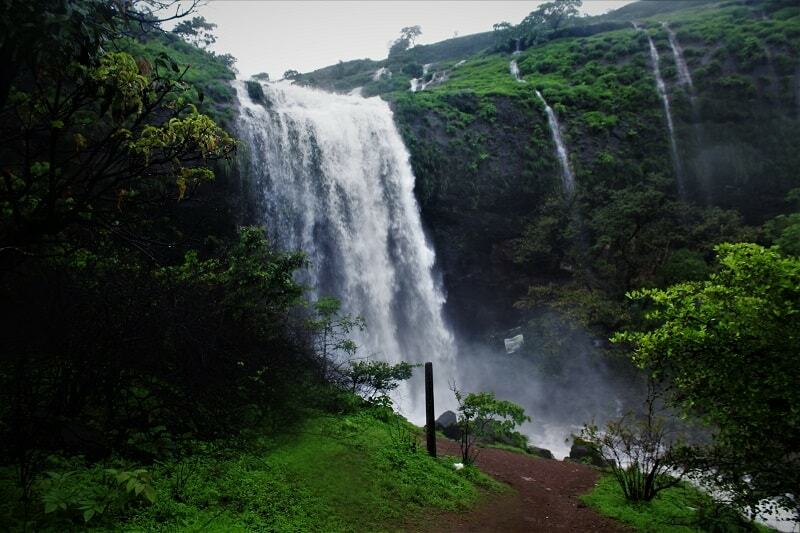 Like Jagtap waterfall, there are 2 more prominent waterfalls in the region – Laalwadi and Bendewadi waterfalls. 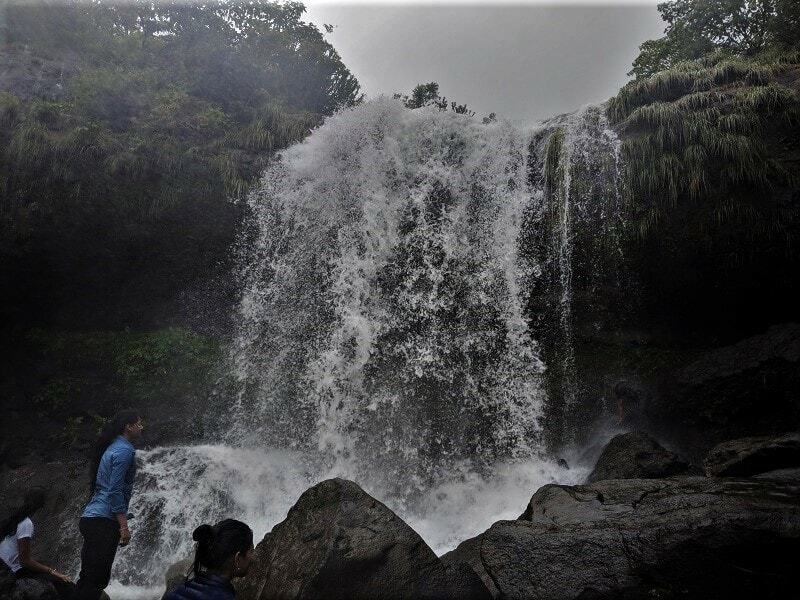 To reach the base of Laalwadi waterfall, a bit of trekking is required through the flowing water. Be careful in the monsoon as the water level can increase drastically anytime. From Laalwadi, a minutes’ drive will take you to Bendewadi. 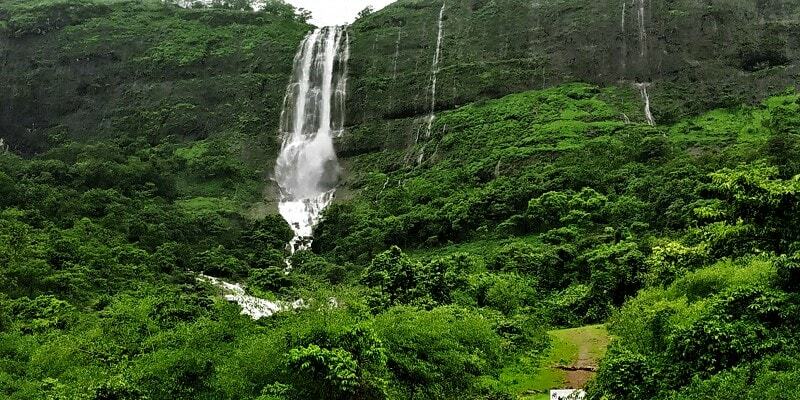 After soaking yourself in the pool at the starting point, a 10 minutes walk from there will surprise you with the splendid Beendewadi waterfall. 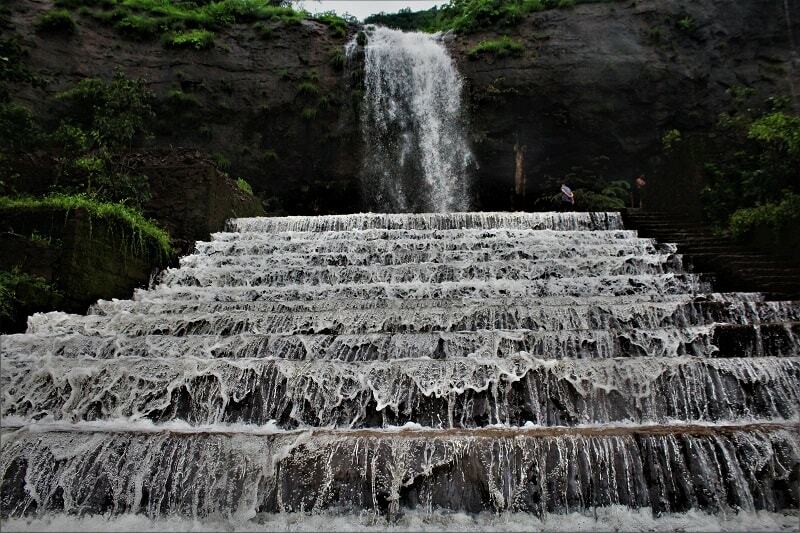 On your way to Bendewadi Waterfall, on the left side, you can see an unnamed waterfall at a distance. We trekked to the base of that waterfall (10-15 minutes) and it was absolutely mind-blowing. Don’t miss going to this unnamed waterfall!! 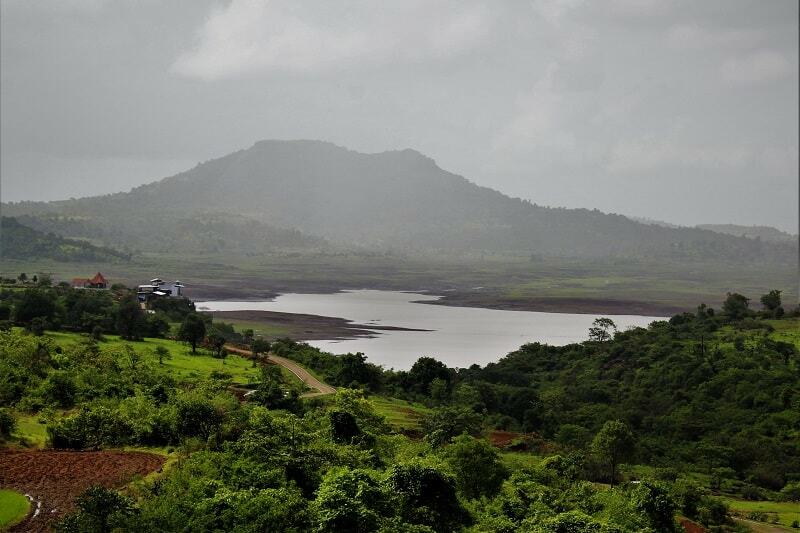 From here there aren’t many waterfalls up to Khandi (6 kms) but the scenic route amidst jungles and Thokarwadi dam will greet you well. A ride in this vicinity will add more joy to the journey. 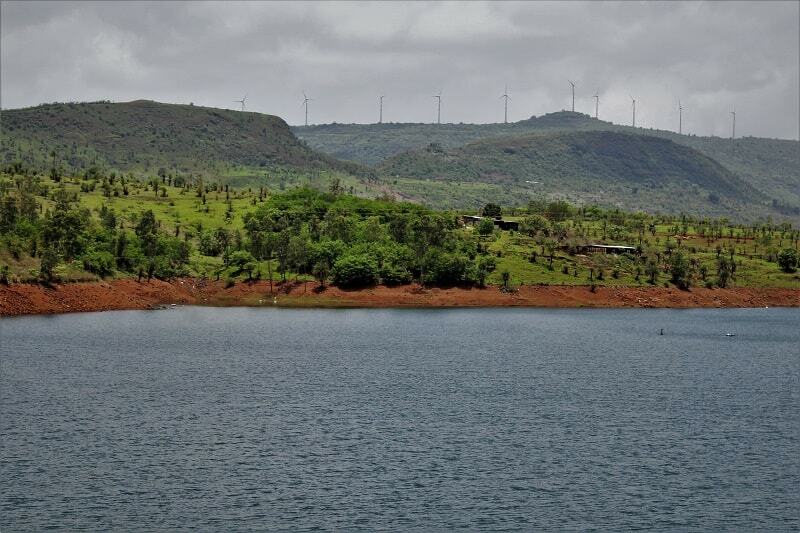 Also, there is another route on the other side of the dam which you can choose to drive back to Kanhe (Khandi – Pimpari – Inglun – Kivale – Falne – Kanhe). 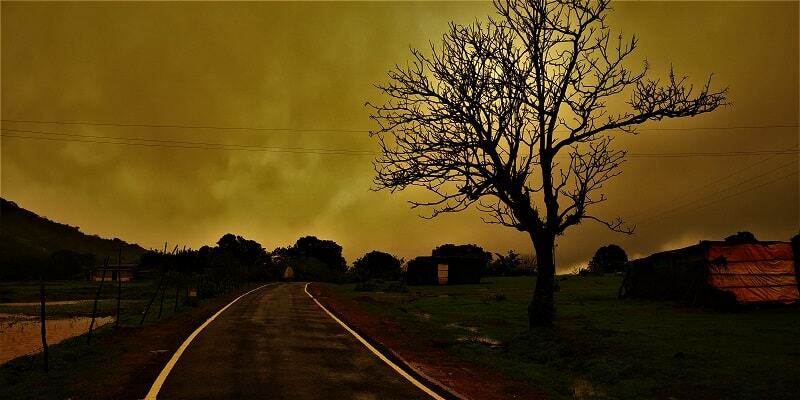 As it had already gone dark, we decided to take a u-turn and drive back to Kanhe from the route we came. I will be exploring the other region pretty soon!! 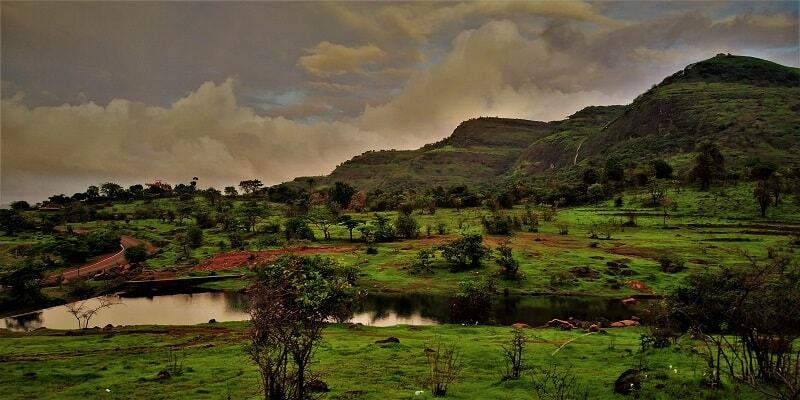 There are small villages all along the way, so you can try out local Maharashtrian food. Taking a sip of Tea, and having Corn and Maggie in such natural surroundings is a moment to remember. 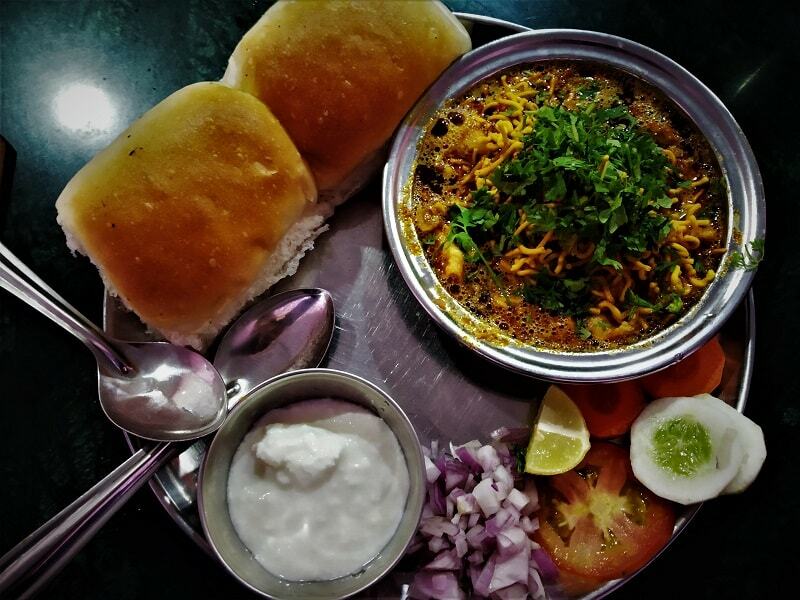 I tried the Misal Pav at Ganraj Hotel and snacks center (at Takawe, 5-6 kms after Kanhe), and will highly recommend it. 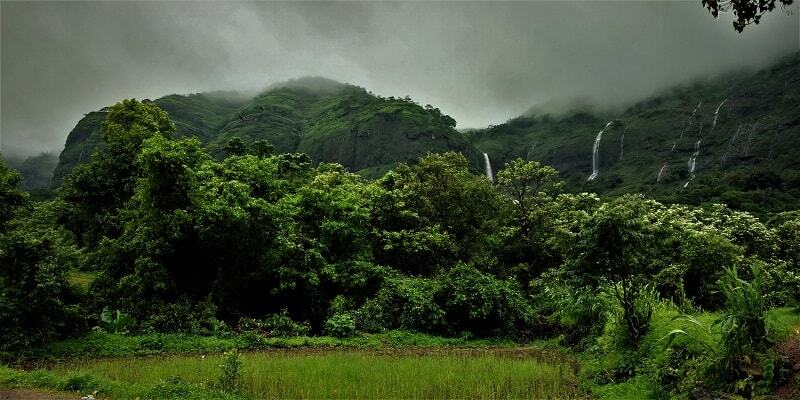 Waterfalls and lush green surroundings are the prime attraction of this region, so the monsoon months of July – September is the best time to visit the place. I doubt the place will be of any delight in the summer and winter season. There was not a single moment when I felt bored considering so many visits in a short span. That’s the beauty of this place!! And I am pretty sure that I have still so much left to explore in that region. 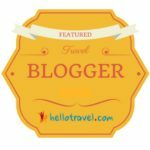 Pack your bags and leave, The Land of waterfalls is waiting for you!!! How Safe it is to cycle down the road in Monsoon ? is meal provided by jagtap waterfall owners on the spot ? No there is no such food option available at Jagtap waterfall, but you can find various food options all along the route. Can we visit these places from Car? Wish you a great trip!! 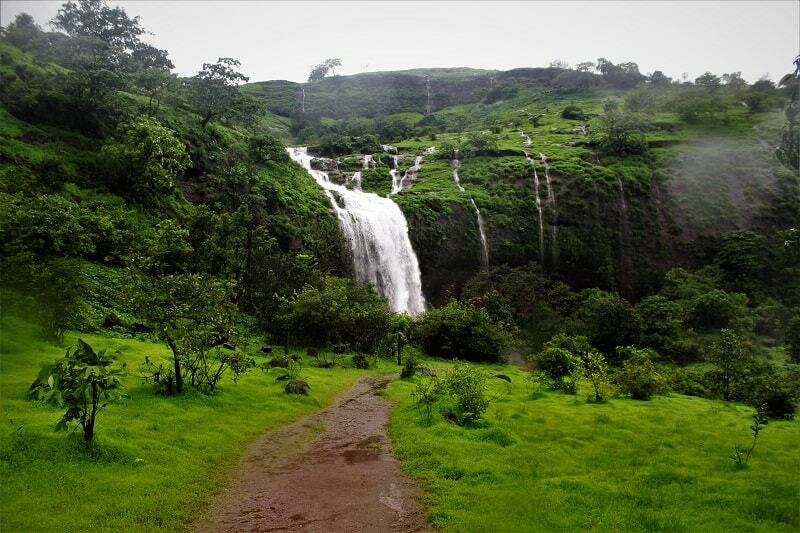 The best part was Maruti waterfall though!😊 Some amazing photographs you have captured and the best part is the greenery. Thanks for making this place crowded and now quest for new place might have been started. 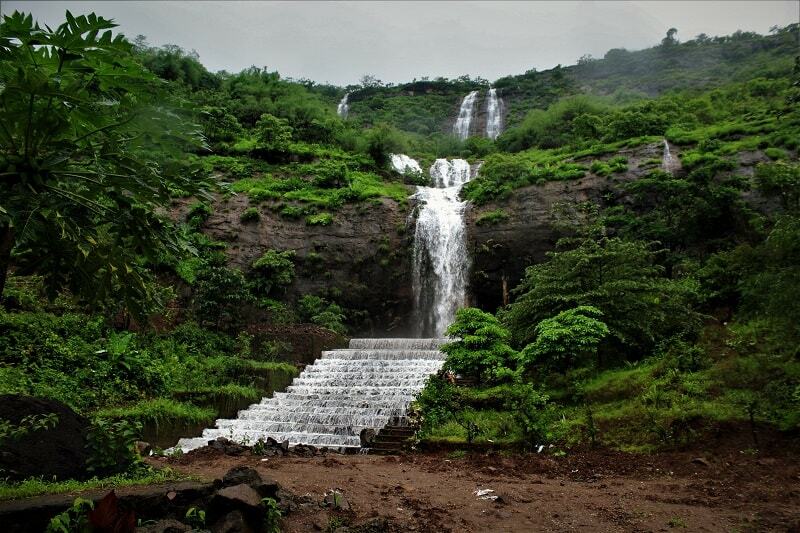 Yes the best part was the Maruti waterfall and ab another waterfall near to Bendewadi which I found on 3rd visit. I haven’t made it crowded, I guess locals already know about this place!! Yes I constantly looking into Gmaps to find a new place. Yes you should definitely have a visit and its the perfect time to visit the place.